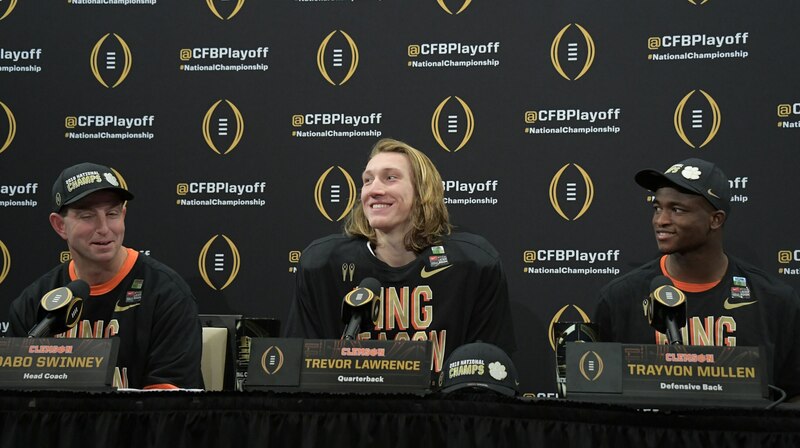 President Donald Trump welcomed Trevor Lawrence and the Clemson Tigers to the White House on Monday night with a massive spread of fast food served on silver platters. The pictures of said spread circulated all over social media on Monday evening, and many folks had a negative opinion about it (shocking, right?). However, as one might expect from a young college student, Lawrence wasn’t upset at all by the array of burgers and pizza. Speaking with TMZ Sports, the 19-year-old true freshman was actually gushing about the experience. Lawrence and the Tigers sure have a strong case to repeat. Clemson will be perhaps even more potent offensively next year as the quarterback will not only have another year of experience under his belt but some top receivers will be joining him as well via the recruiting process.